A cutting from the archives! I found the following cutting – taken from The Times Magazine that comes with the Saturday edition. This particular cutting is from…….I do not know when and have not been able to research a date either! 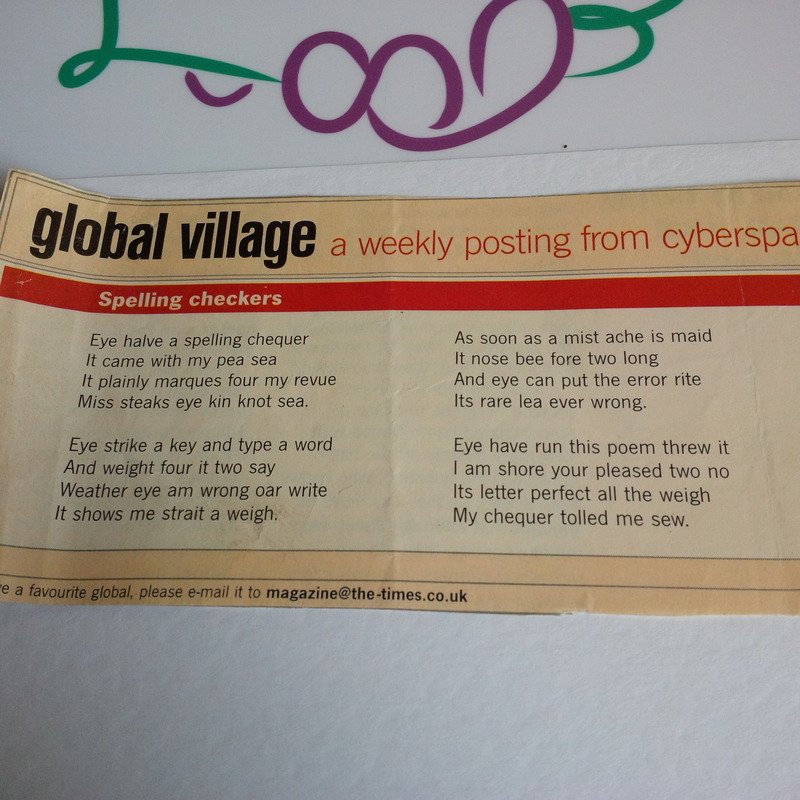 My recollection and this is based on a hazy memory is that I cut it out in the late 1990’s – nearly an antique! Anyway it certainly made an impression then and still made me chuckle today! I did discover that is was written by Martha Snow – although this could be incorrect – perhaps that is due to the age of the piece!